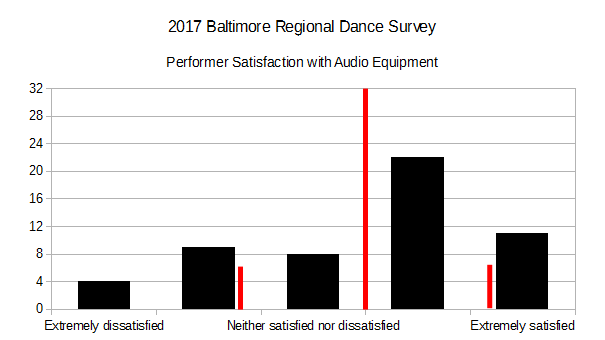 Here performers are apparently a bit happier, in general, with sound than they are with lights, but these fundamental bits of production are well-addressed for existing performers. 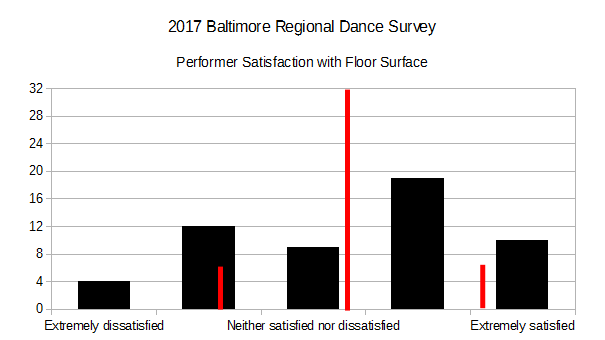 Generally, satisfaction with the ceiling height and amount of space to perform is a bit better than the floors. 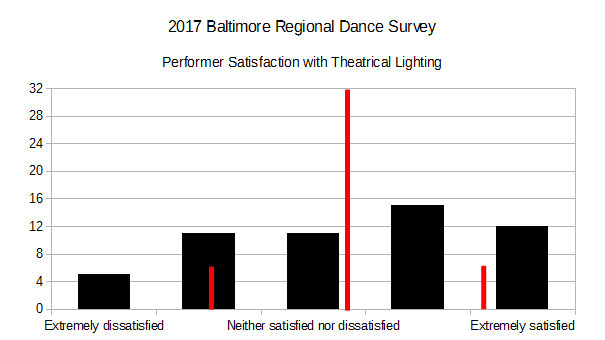 Ceiling height is not a major issue for these respondents. 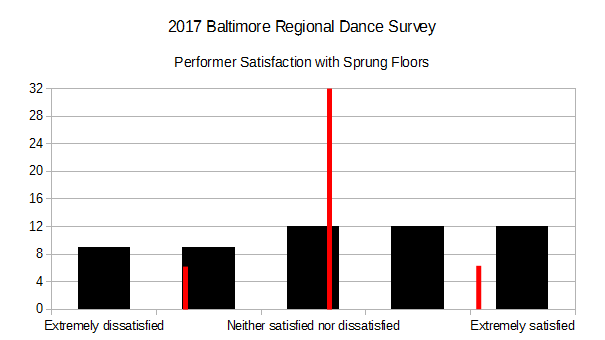 That’s good news, considering many venues in the region have relatively low ceilings that could be incompatible with dances that involve lifts. 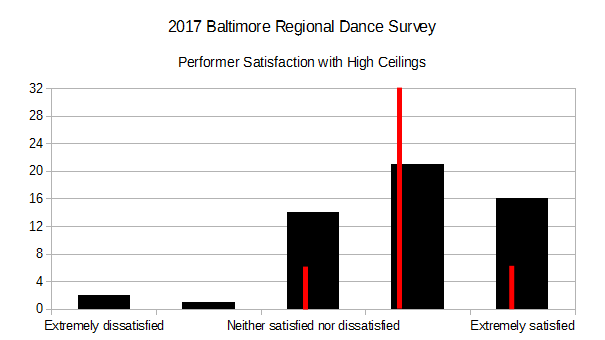 Given the small sample size, more extreme ceiling demands (e.g., aerialists) are probably not well-represented in these results. 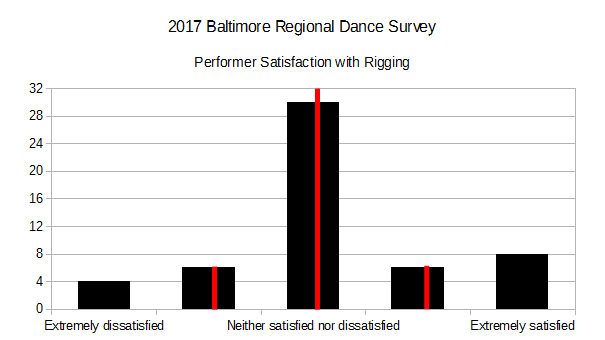 I am a bit surprised with the results here. 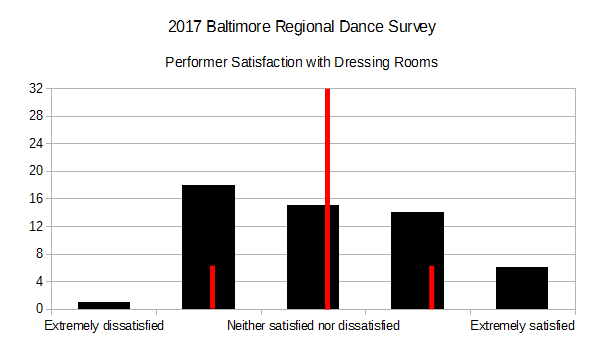 Considering many performance spaces listed by respondents have essentially no dressing area available, I expected a higher number of extremely dissatisfied responses. 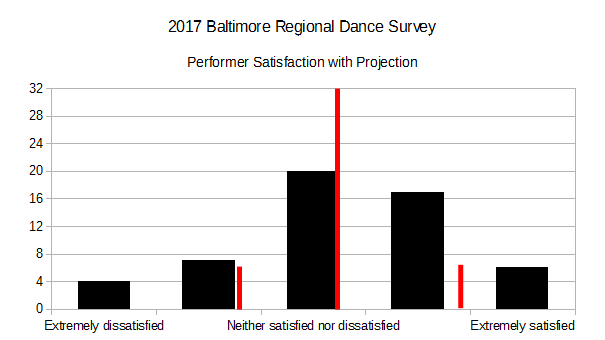 Without some refinement to the question, it’s hard to interpret many of these results. 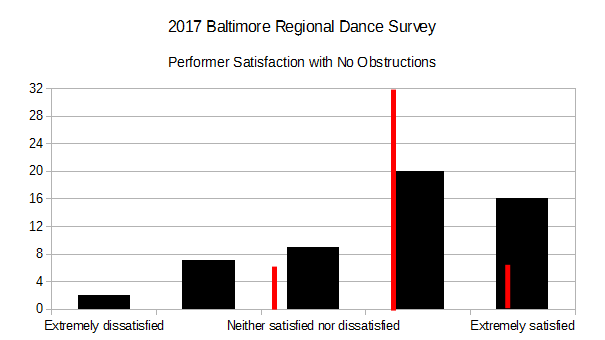 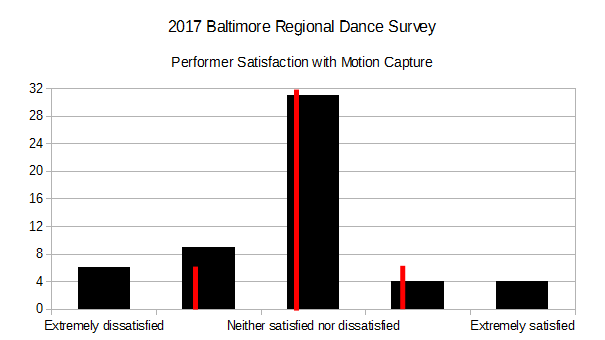 I think it is safe to say that very few dance performers in the Baltimore region are using Rigging or Motion Capture (in both cases, more than half of respondents picked the most-neutral response).